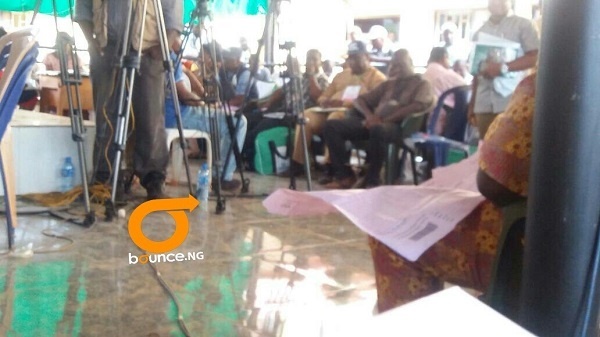 All is set for the announcement of results of the Anambra State governorship election. The Independent National Electoral Commission (INEC) is set to begin the announcement of results of the Anambra State governorship election. Some of the collation officers are already seated in the conference hall preparing to commence announcements of the results. INEC had, last night, shifted the collation exercise to this morning, as results did not trickle in from the local government areas yesterday. The results are being drawn from 21 local government areas in the state. Many of the results were collated at the various INEC local government offices very late on Saturday night till early Sunday morning. The compilation started after voting and counting of ballot papers at different polling units ended. Though accreditation and voting were done simultaneously at the polling units, with collation of results concluded before 6pm in most polling centres, no result had arrived at the State INEC office, which is the state collation centre, as at 4am Sunday. 37 political parties fielded candidates in yesterday’s election but five were considered major contenders because of their political platforms and the perceived strength of the candidates. These include incumbent Governor Willie Obiano of the All Progressives Grand Alliance (APGA), Oseloka Obaze of the Peoples Democratic Party (PDP), Tony Nwoye of the All Progressive Congress (APC), Osita Chidoka of the United Progressive Party (UPP), and Godwin Ezeemo of the Progressive People Alliance (PPA). The headquarters of INEC in Awka, located along House of Assembly Road, near Ekwueme Square, remained heavily manned by a combined team of soldiers, mobile policemen and DSS operatives waiting for results from local government area collation centres to arrive.